Bruker Corporation (NASDAQ: BRKR) announced today the NPFLEXLA , the first non-contact, three-dimensional surface metrology system to provide quantitative lead angle and surface texture measurements for the control and reduction of fluid leakage of rotary dynamic sealing surfaces. 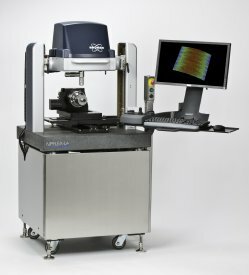 The NPFLEX-LA combines the intrinsic benefits of Bruker's gage-capable, interferometry-based 3D optical profiling technology with new patent-pending metrology capabilities to quantifiably measure both shaft lead angle and surface texture of sealing surfaces in a single, integrated solution. Designed to perform extremely accurate metrology independent of part warp, level, concentricity or mounting inconsistencies, the NPFLEX-LA also features a streamlined production user interface that enables rapid setup and easily set pass/fail criteria to identify and/or discard nicks, burrs, and scratches from a measured surface area on a machined shaft. "The average automobile has numerous dynamic seals that can fail," explained Stanley Smith, Consultant and Industry Expert in Sealing Surfaces. "Failures attributed to leaking seals cost the transportation and power equipment industry tens of millions of dollars a year in warranty costs, recalls and fines. Given my 50 years of experience in the oil seal industry, it is very exciting to see that Bruker has come up with an innovative, noncontact measurement for shaft lead angle. The NPFLEX-LA will allow the sealing industry to continue to drive roadmap development beyond existing designs and achieve warranty targets at a reduced cost." "The NPFLEX-LA is a fast, easy-to-use and repeatable 3D surface metrology system that not only solves a critical precision machining industry problem, but does so with the confidence of Bruker's proven and robust interferometry technology," said Ross Q. Smith, Vice President and General Manager of Bruker's Stylus & Optical Metrology Business. "The NPFLEX-LA provides the transportation and related industries with a precision metrology solution that will help meet international environmental regulations and emissions standards by confirming that manufacturing processes produce sealing surface parts to required tolerances." The Bruker NPFLEX and NPFLEX-LA optical metrology instruments utilize a break-through gantry design to provide over 300 degrees of access for large samples. 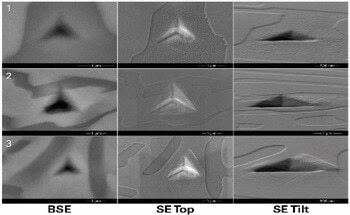 A unique swiveling optical head option permits routine investigation of highly curved samples and beveled edges. 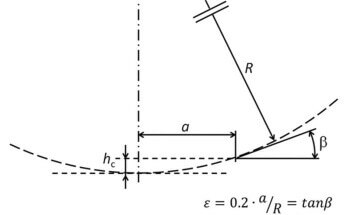 The NPFLEX-LA utilizes an easy-to-use, three-jaw chuck design to allow for the mounting of shafts for lead angle and surface texture measurements. 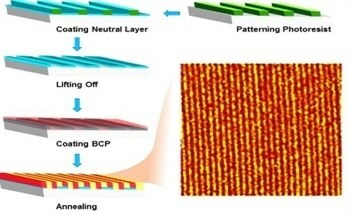 Both NPFLEX and NPFLEX-LA employ Bruker's tenth-generation, non-contact, interferometry-based, 3D surface metrology technology to provide greater accuracy, repeatability, flexibility and data density compared to equivalent contact measurement techniques. Other standard features include long working distance objectives, a unique objective crash-mitigation system, automation and field-stitching software, and patented, ultra-uniform dual-LED illumination. The NPFLEX product family also features Bruker's industry-leading Vision64 software platform with parallel processing for enhanced performance and capacity, which provides access to over 200 distinct analyses, and over 1,000 critical parameters for measuring lead angle, curvature, lay, bearing ratio, wear, corrosion, and other key parameters.